wide span. The original is preserved in the museum behind the Abbey to the north east. 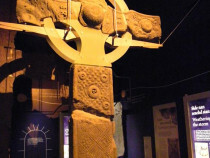 St. John’s Cross was structurally flawed and probably fell soon after it was erected. 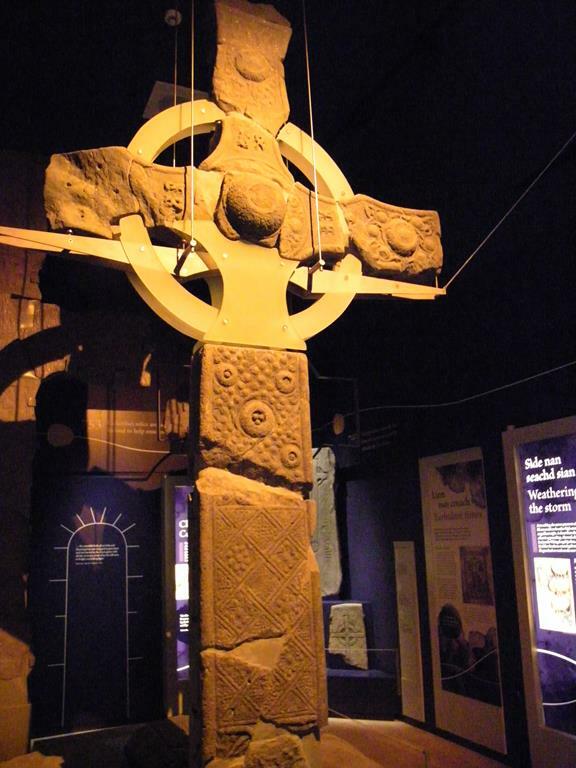 With a span of 2.2m it was one of the widest crosses known in the British Isles. Originally it was a ringless cross, and it is thought that the four segments of ring were added early on in an attempt to strengthen it. Even its recent history makes sorry reading: it was stuck together with concrete and re-erected in 1927 but was blown down in 1951 and again in 1957. After this it was decided to take the fragments to the Abbey Museum for safety. The concrete replica we now see in its place was set in the original stone base in 1970. 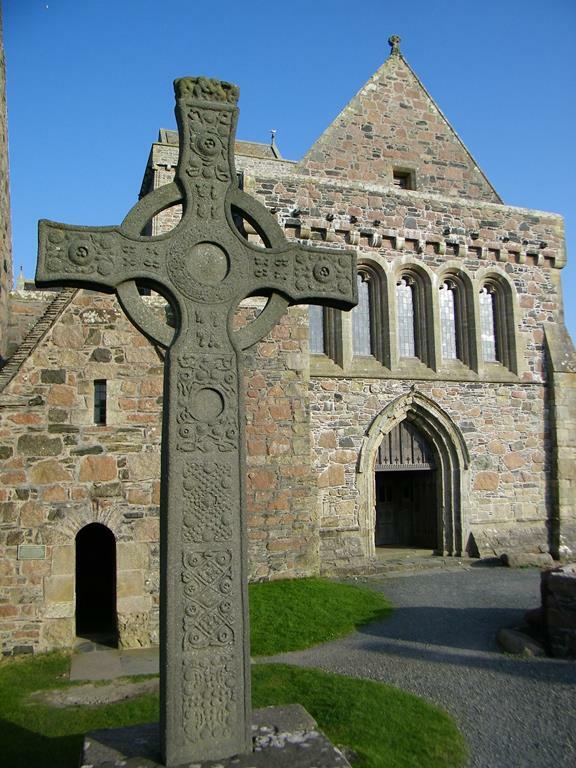 Close behind St John's Cross is a little stone building known as St Columba's Shrine. 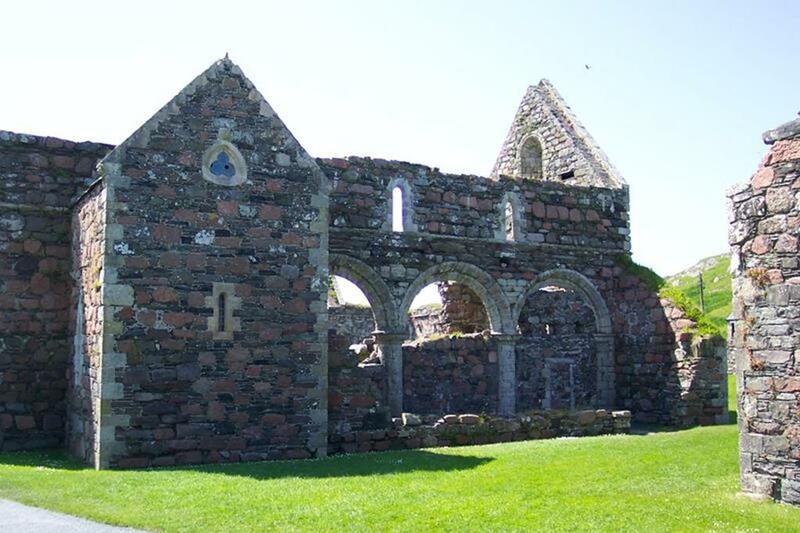 Most of the walls were restored in 1962 but the lowest courses are original and may date to the 9th century. 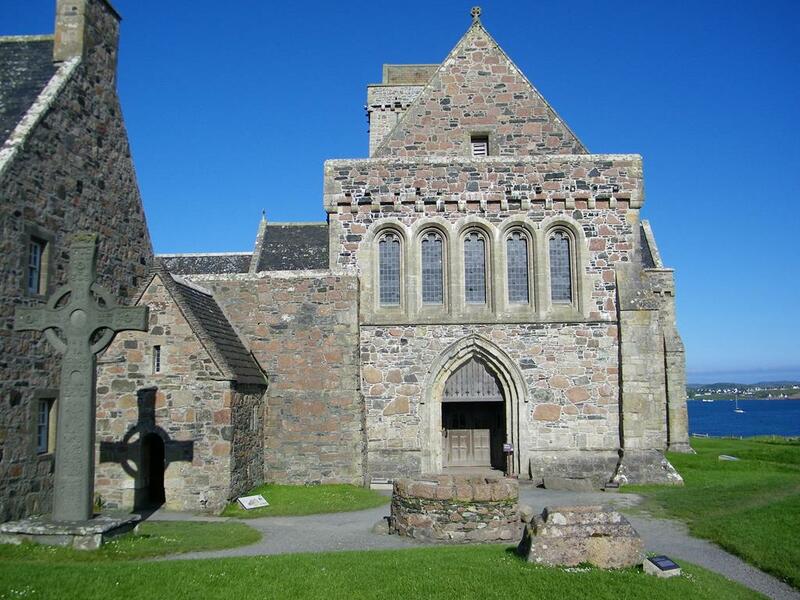 This was an oratory or chapel built to an Irish design with the long walls projecting. 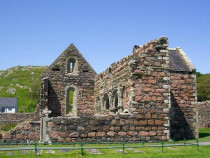 The tradition that links it with Columba may well preserve ancient knowledge of where the saint had first been buried. Originally the building was free-standing and it was left that way even when the medieval Abbey was built, respecting its antiquity and sanctity. 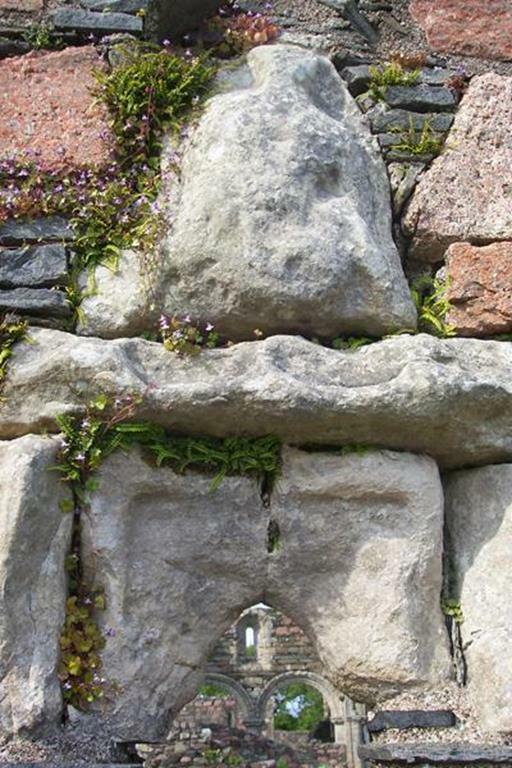 Indeed the medieval church may have been built in its present position to demonstrate a relationship to the shrine. The medieval pathway from St Oran's Chapel to the Abbey cloister used to pass through the gap between the chapel and the much grander Abbey Church. 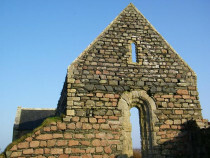 The gap was closed in the 15th century when an angle tower was added to the church. helped rejuvenate the deteriorating Abbey Monastery. 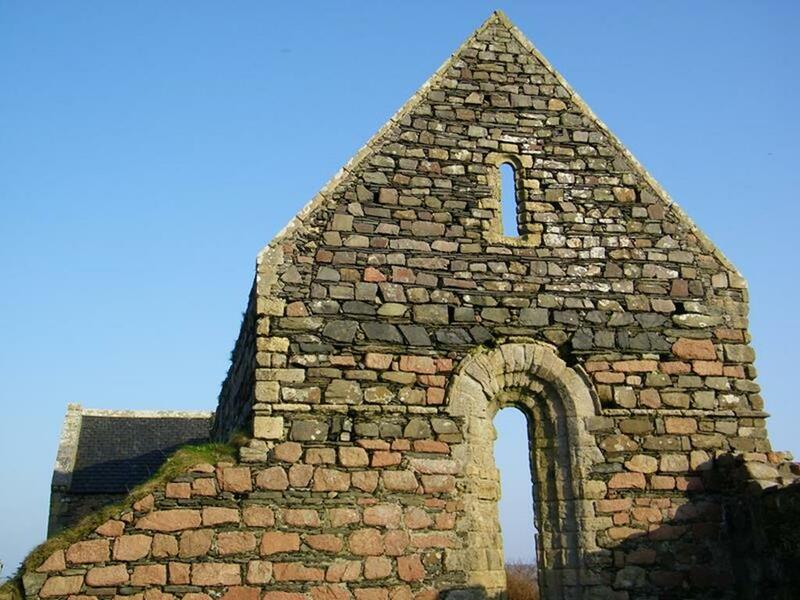 The nuns wore black habits; the gaelic for nun is "cailleach-dhubh, the black robed woman" Iona locals call the nunnery "an eaglais dhubh" "The Black Church". Ranald promoted his sister Bethoc as Prioress. 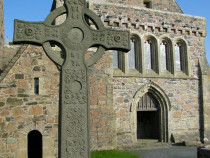 The first nuns were thought to have arrived from Ireland. The nuns lived off land and islands given to them on arrival but there means were modest. It is said their burial ground was used to bury women of noble birth from far and wide. 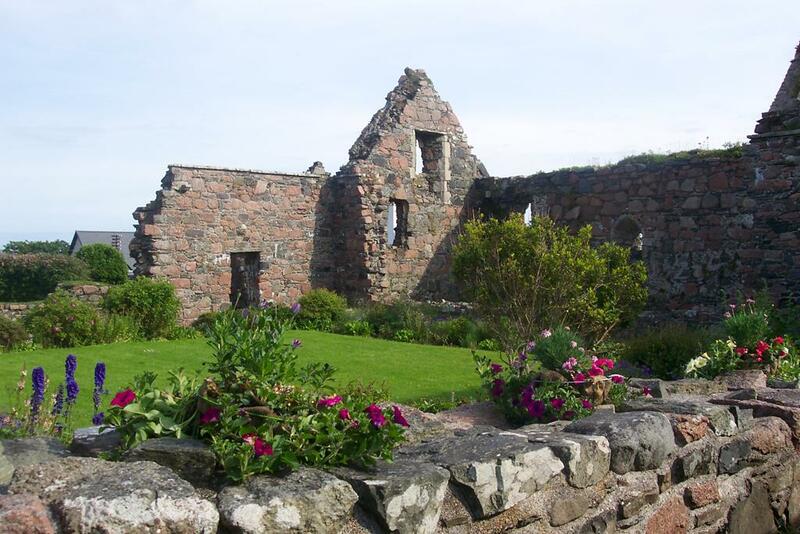 The peaceful neat ruin in Baille Mor village is one of the best preserved medieval nunneries in the country. 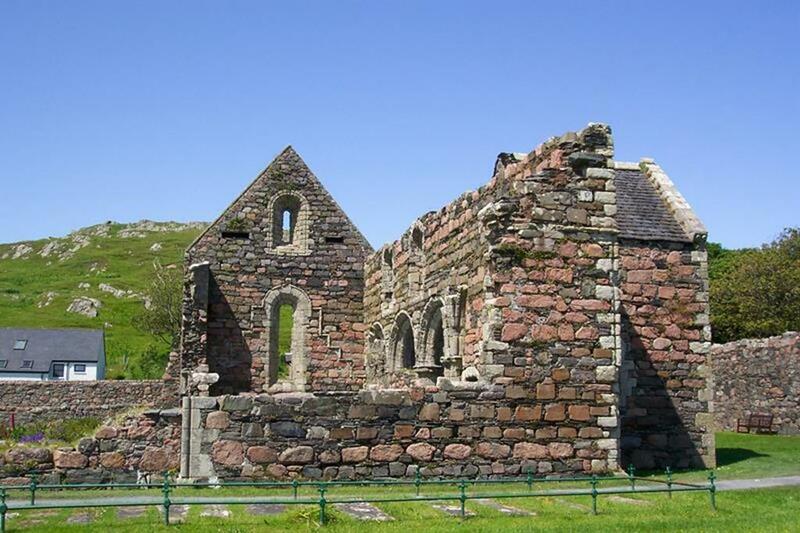 Next to the nunnery is Teampull Ronain (St Ronan's Chapel) which was the medieval parish church for the people of Baille Mor until the Protestant Reformation in 1560. Below the church is evidence of an early 8th century chapel. Today it stores graveslabs found at the nunnery. The nunnery garden is a lovely scented, peaceful spot full of colour in the summer with its wild borders of indigenous marine plants. 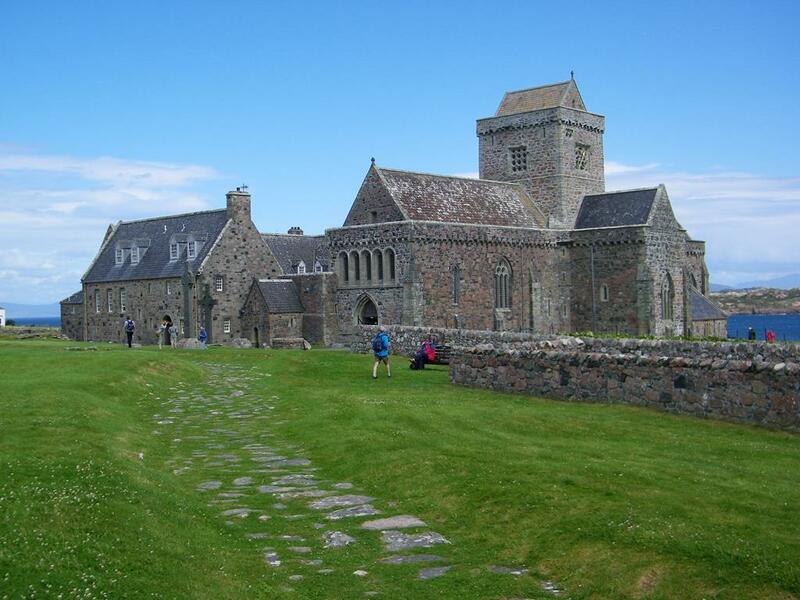 You can walk through the nunnery from one end to the other and rejoin the road up to the Abbey. 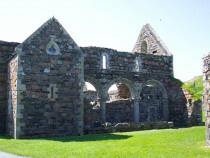 The ruins are extensive and the church looks over the nunnery from the north dating from the 13th century, It has a nave with a three bay aisle on the north, a small chapel at the east end of the ailse, and a chancel. The chancel and north chapel have ribbed vault ceilings and the north chapel has a grand triangular headed window. There is some fine carved work in the nave arcade. 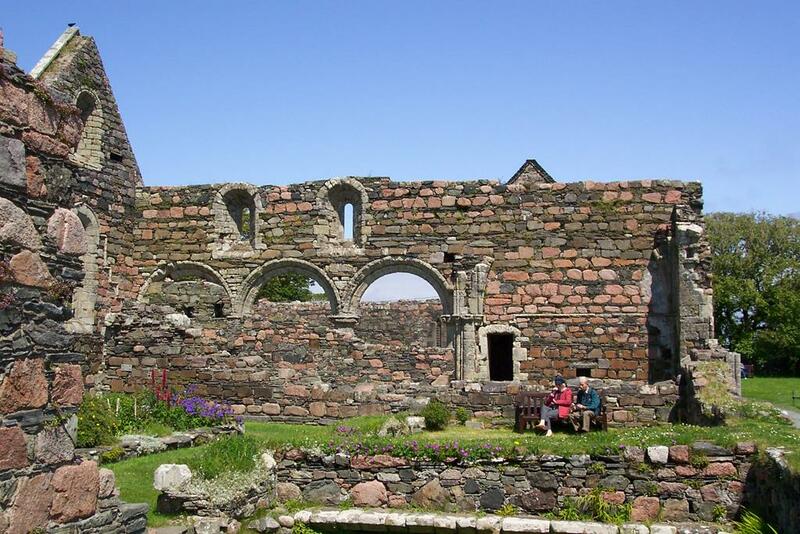 The cloister is more ruinous but sections of the east and south ranges survive where the refectory was. In the east wall of the refectory there is a window unusually shaped and carved, an architectural grotesque found in medieval churches. 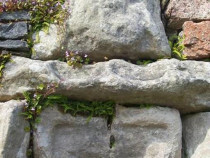 This is believed to be a medieval stone figure of a naked female with legs wide apart , unusual item in the wall of a nunnery perhaps, but it is said to be called a Sheela na gig and that there purpose was said to ward off death and evil and also a sign of fertility,perhaps in this case it was for the first purpose! 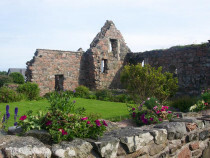 The grounds and buildings are expertly looked after by Historic Scotland.